Wavy-Leaf Desmodium is an undershrub with branches slender. Leaves are few, trifolitae. Leaflets are up to 20 x 6 cm, ovate, tapering, rounded at base, hairless above, nerves finely netveinedd below, margin wavy, stipules ovate, tapering. Flowers are red or orangish red, borne in panicled racemes, at branch-ends or in leaf-axils. Axis is woolly, up to 25 cm long; calyx 4-lobed, bell-shaped; standard to 10 mm across, reddish, round or flat at tip. Joints of pod 2 or 3, to 1.5 x 0.6 cm, sickle shaped, densely covered with hooked hairs. 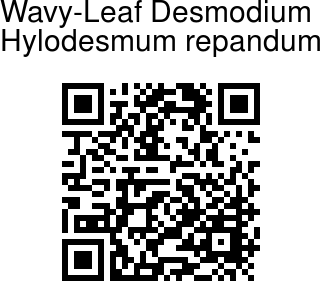 Wavy-Leaf Desmodium is widely distributed in the world in Paleotropics. 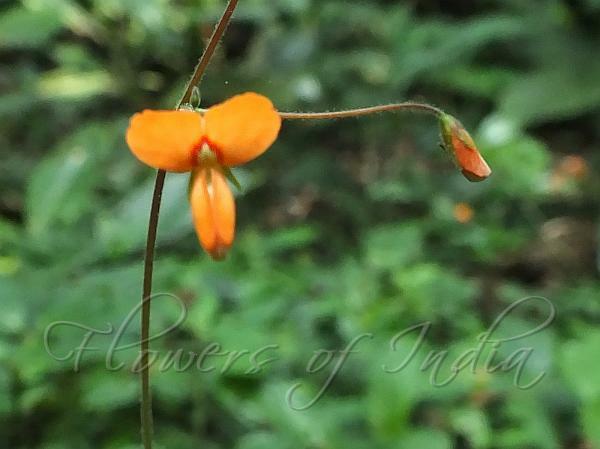 In India it is found in Western Ghats and Eastern Himalayas, at elevations of 1300-2000 m. Flowering: December-January.